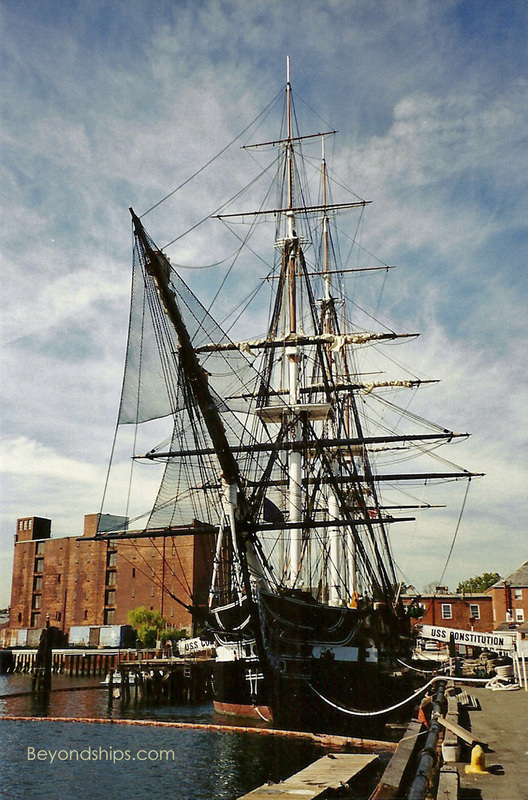 USS Constitution symbolizes the spirit of the United States Navy. Constructed when the United States was still a small nation, the ship and her crew demonstrated American seamanship and perseverance in a series of battles with a superior foe. The world took note of these achievements and never looked at the United States the same way again. In 1940, President Franklin Roosevelt ordered that USS Constitution be kept permanently on the list of commissioned U.S. Navy ships. As a result, USS Constitution is more than a museum ship, she is an active Navy ship manned by active U.S. Navy officers and sailors. Serving on USS Constiution is considered special duty and when you visit you can sense the pride of everyone aboard to be part of this ship's history. USS Constiution is a pretty ship to look at. She was technologically advanced for her time and presents graceful lines. In many ways, she is a triumph of sailing ship design. The ship has been returned to the way she appeared during the War of 1812 when she won her great victories. While you know that those times were different from today, it is startling to look at the artifacts of her era and realize the conditions underwhich people lived and battled. Even though USS Constitution is berthed across the Charles River from downtown Boston, she is a popular Boston attraction. She is part of the Freedom Trail and various hop-on, hop-off tour buses stop at her. She can also be reached by public bus and via water taxi from the Long Wharf downtown. 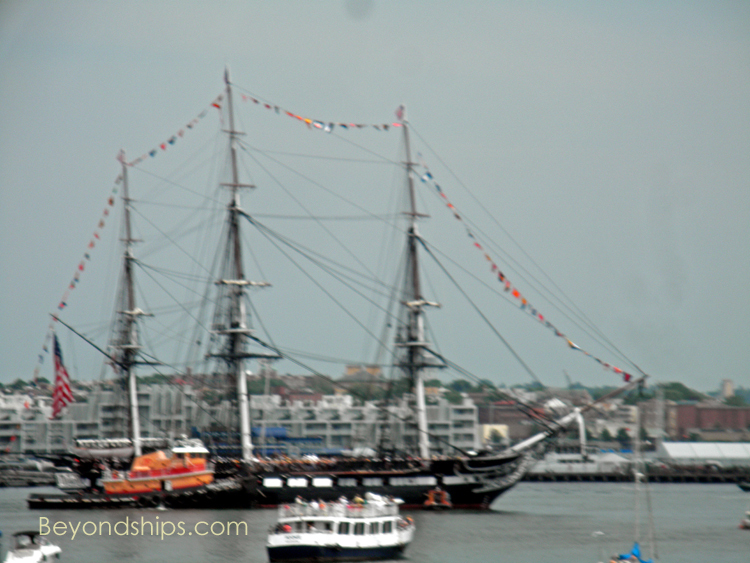 Above: USS Constitution during a Fourth of July cruise in Boston harbor.